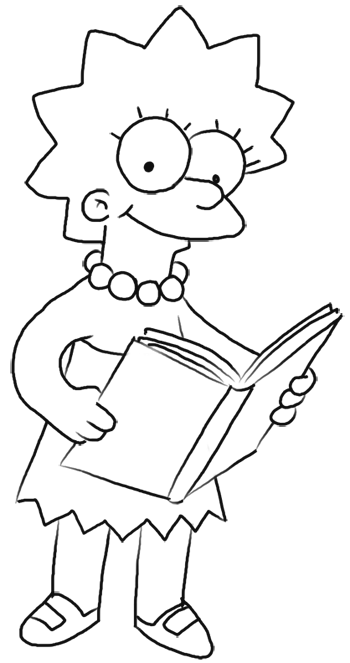 Do you want to learn how to draw Lisa Simpson from The Simpsons? I have put together a step-by-step tutorial that will help you figure out how to draw Lisa Simpson by using simple shapes to build up Lisa’s form. This is an intermediate cartooning tutorial that kids, teens, and adults will enjoy. Even some younger children might be able to draw Lisa Simpson if you stand by to help with the instructions.